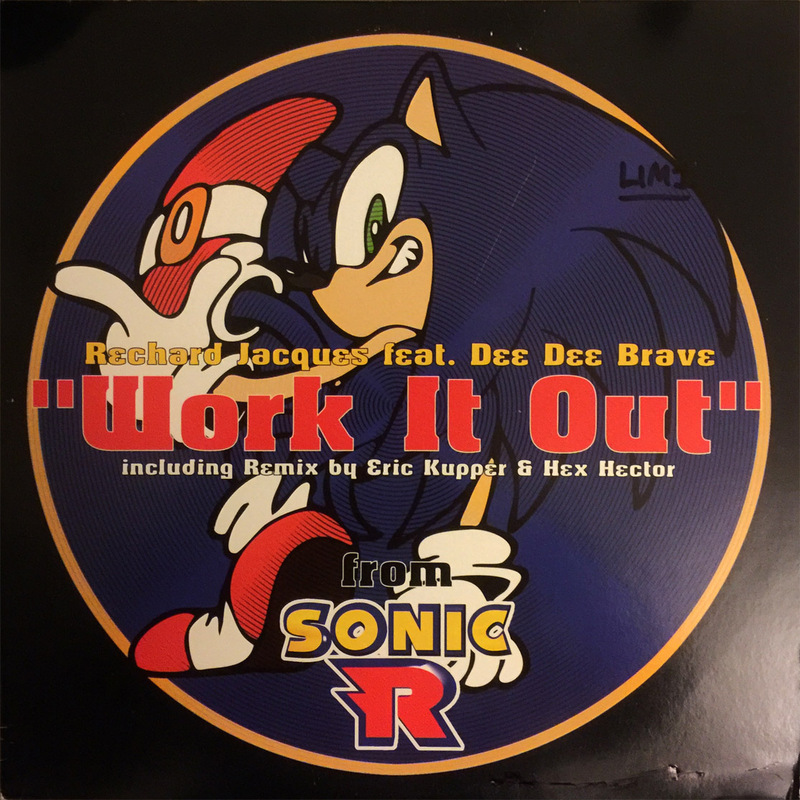 Four club/dance remixes of Richard Jacques’ Work it Out from the Sonic R soundtrack released on 12″ vinyl by BPM King Street Sounds in September 1999. The record plays at 33rpm. 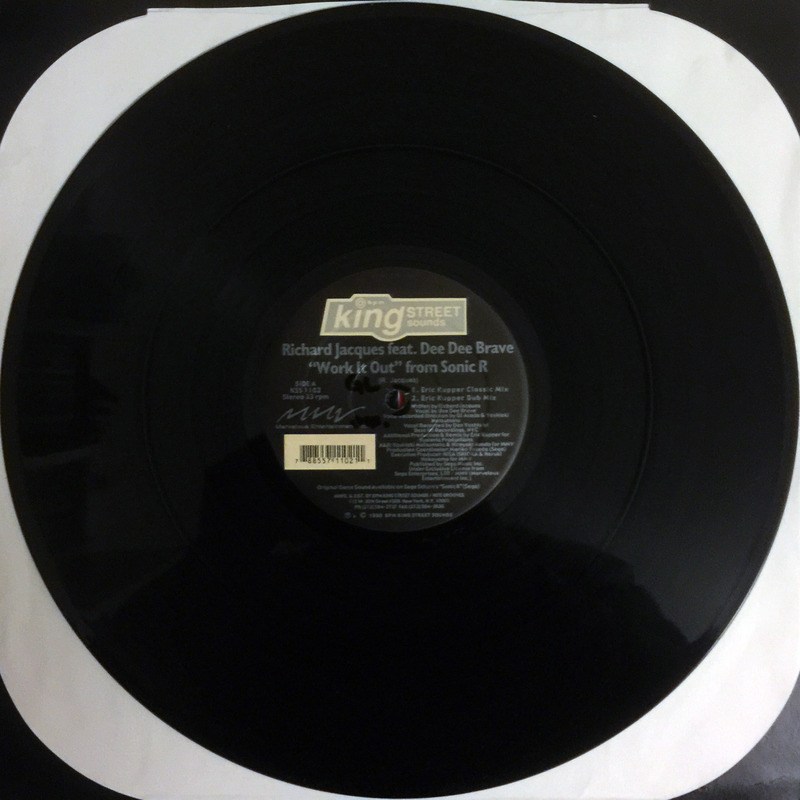 The original song’s vocals were recorded by TJ Davis but these remixes feature the vocalist Dee Dee Brave. 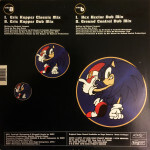 Tracks 1 and 2 are remixed by Eric Kupper while 3 and 4 are remixed by Hex Hector. 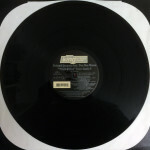 Richard Jacques is misspelt as Rechard Jacques on both the cover and spine of the record sleeve. 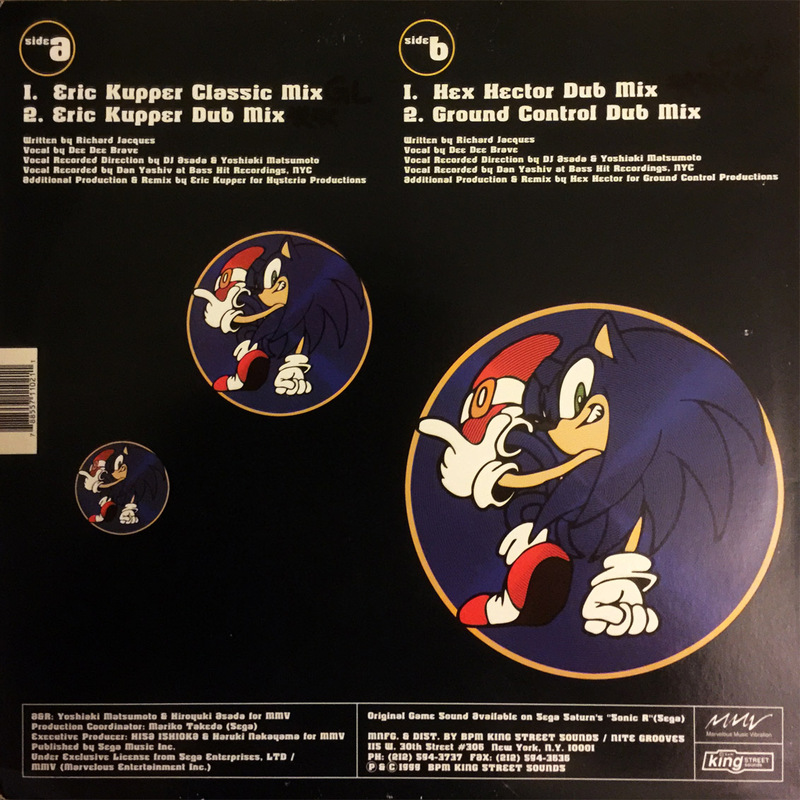 Despite this being a release featuring music from Sonic R, the artwork is done by Yuji Uekawa in the same style that he uses for Sonic Adventure. 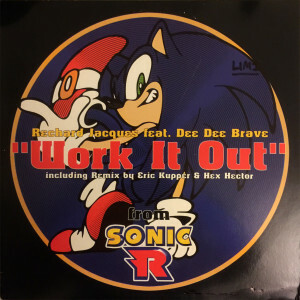 As this release came out in 1999, Sonic Adventure would’ve been out in Japan for almost a year and the art for the game was likely more available at the time. Uekawa has adjusted Sonic slightly to reflect his classic image by removing the white soles of his shoes which first appeared in Sonic Adventure.